So when I was told that there was a new launched series of Bedsheets Sets, made of Micro Satin (380 thread count per 10cm square). I figured why not give it a try, after all Micro Satin does sound pretty comfortable right? The Fitted Sheet Set contained a fitted sheet, a pillow case and bolster case. 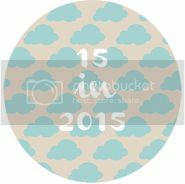 This set is available in both Single and Super Single sizes. We also tried the Summer Blanker which is only available in Single size however I would have to say it is pretty generous. Jah was really excited to have new bedsheets and a huge new comforter (he has been using a small fleece blanket for the longest time) and it definitely helped that the set came in an adorable Baby Looney Tunes design. The bedsheet and summer blanket was really soft and plushy and while we weren’t able to use the pillow case or the bolster case as Jah has his own Junior sized pillow, I would be willing to bet that there were just as soft. As part of our sleep routine every night, Jah would always insist on lying on my lap and his little fleece blanket would only be enough to cover him! 😦 No more problems now, with a comfy full sized comforter that fits him + me and is soft and super cosy under the covers. 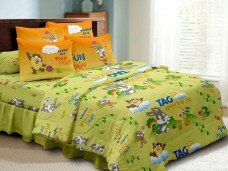 The Baby Looney Tunes Fitted Sheet and Summer Blanket are available in several designs. Visit the Product Catalouge Link for more info on availability and price. 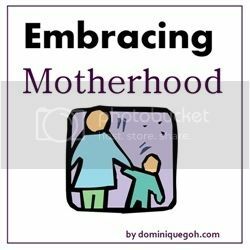 Our sponsor has kindly offered a special deal for JahBella’s readers! 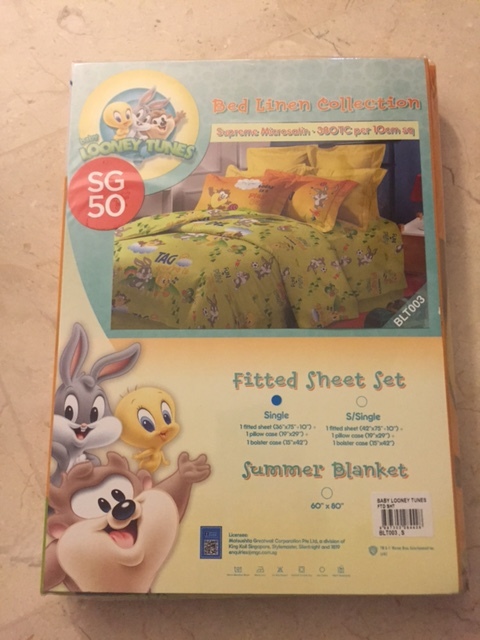 Enter the promo code – JAHBELLA upon checkout and you will be entitled to free delivery on your Baby Looney Tunes product and a free Baby Looney Tunes pillow case worth S$3.90. 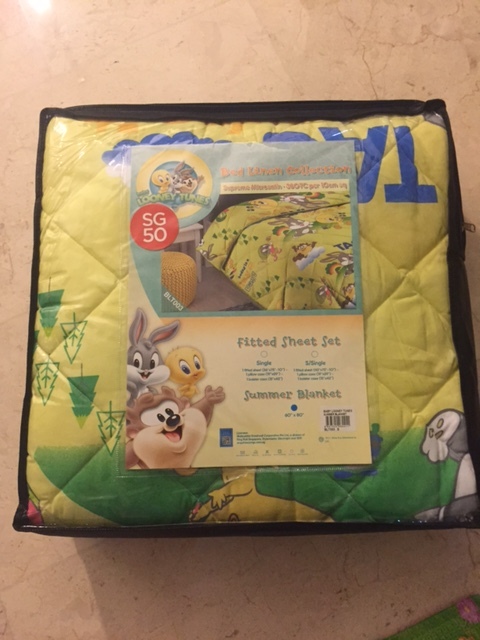 Purchases over S$120 will be given an additional free Protect-A-Bed Pillow Protector worth S$25. I also hear that the sets are going at promo prices now so what are you waiting for? Disclosure: JahBella received the Baby Looney Tunes Micro Satin Bedsheet and Summer Blanket product for the purpose of this media review. No monetary compensation was received and all opinions are my own.